Trout Gulch Treehouse in Intentional Community LivingTreehouse by Design - So, you thinking about building a tree house? I came across this inspiring little community in Aptos, California. This intentional community of just 18 people have been extremely busy, applying their building skills and elbow grease to create a dream village. 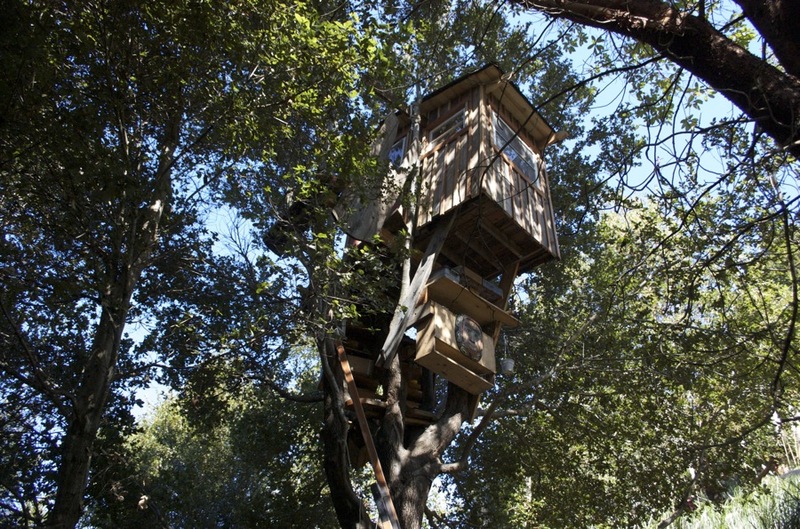 One of the things that makes their project so dreamy is the fact that they incorporated treehouses into their designs. They’ve been able to strike an intriguing balance between low and high technology, incorporating a lot of wooden structures, such as the treehouse above, with modern amenities like washers and dryers. They also embrace the use of computers to get the word out about what they’re doing. You can check out Trout Gulch’s site for some captivating photos of what they’ve accomplished.